Hydrogen peroxide has many uses such as disinfecting minor wounds. It can also be used to dye hair. 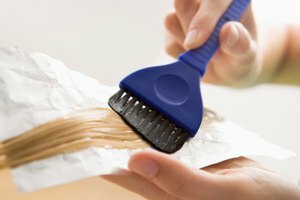 Using a three percent hydrogen peroxide solution, you can easily lighten blond hair, add highlights to brunette hair and create a strawberry blond look for redheads. 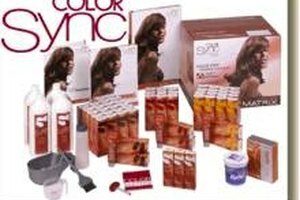 All this can be accomplished without the harsh chemicals in typical hair dye and without the expensive price tag of a day at the salon. Unscrew the top of the spray bottle and it fill it half way with hydrogen peroxide. Fill the remainder of the bottle with water. Mix the two together and replace the cap. Evenly spray the hydrogen peroxide over your wet hair. Use the comb to comb the solution through your hair. 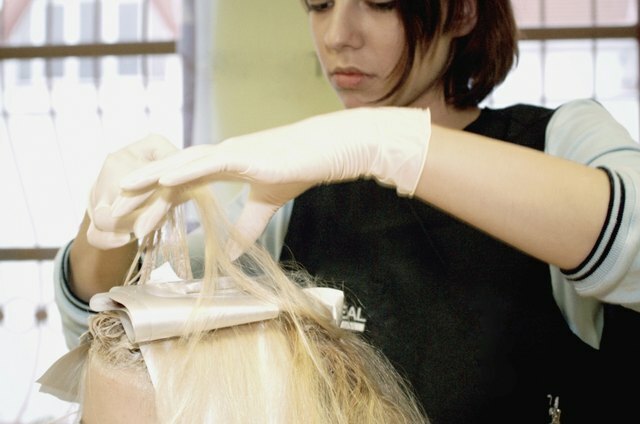 If you plan to only color certain sections or strands of your hair, separate those strands out and apply the spray. Allow the hair to dry with the hydrogen peroxide in it. Walk around in the sun for an even lighter color. Wash the hair after it dries. Repeat the steps as necessary to get the desired color.